I admit when I first moved to West Virginia, I didn’t really understand the pride that residents had for their state. Now that I’ve lived here for decades, I can appreciate that pride, which is always on display on June 20. While Independence Day is a federal holiday celebrated on July 4, West Virginia Day is a state holiday celebrated on June 20. For those unfamiliar with its history, West Virginia is the only state formed as a direct result of the Civil War (it sided with the north.) Citizens celebrated when it was formally admitted to the United States of America on June 20, 1863. Now, 151 years later, residents are still celebrating. 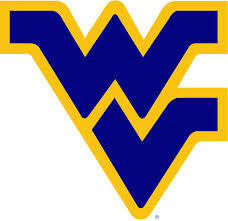 http://www.wvtourism.com/minisites/civilwar.aspx (If you are interested, I live in the Eastern Panhandle). Posted on June 20, 2014, in My life, perspective and tagged 365 reasons to smile, history, humor, life, musings, People, pride, smiles, West Virginia. Bookmark the permalink. Leave a comment.